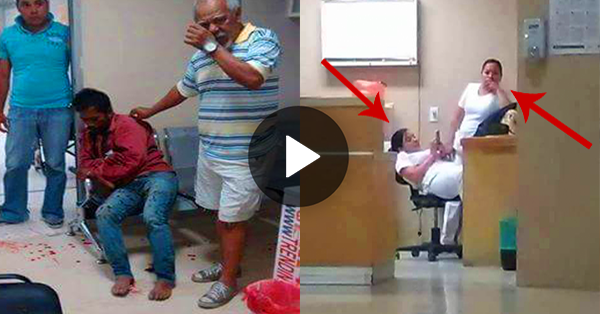 Caught on Cam: Nurses Are Relaxing On-Duty While There's Emergency in Front of Them! 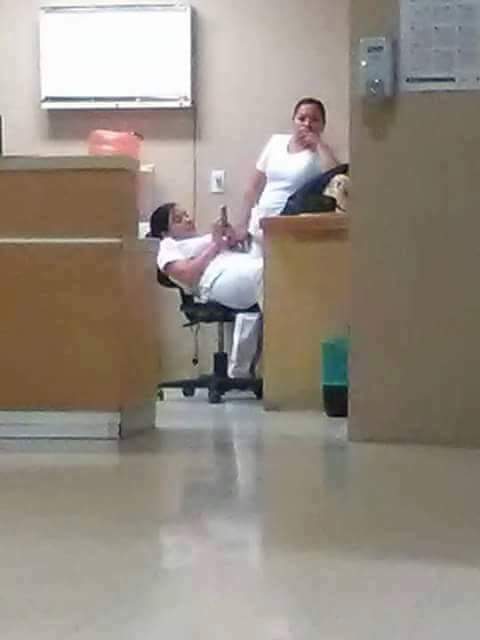 A picture of two nurses on duty in the hospital caught the attention of the online community which is now viral in various social media. The two seemed that they were not busy and just relaxing in the corner while there was an emergency in front of them. 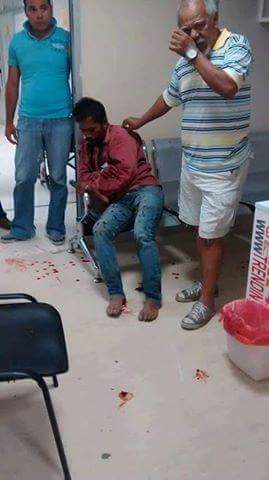 The father of the patient, who was bloody at that time, was asking a favor for quick assistance to his son. However a few were responded because most of the nurses and other hospital staff are also busy assisting other patients. Expecting a voluntary assistance that the two nurses who are both near the area, they did nothing but staring. The netizens immediately post their negative reactions and disappointments against the two women. They should not act like they are seeing nothing while on duty, proven that they were still wearing their uniforms. In addition, the netizens commented that they should be aware and attentive, showing their true dedication to their profession, because they are responsible to save one's life to death. Hope this serves as a gentle reminder to all professionals, not only nurses but also to others who are exercising their profession. Stop always looking for excuses !!!! Anong hospital yan? D n orrient mbuti ang mga staff? At dapat sa mga nurses n yan tangalan ng license mga queng Ina cla saan b ngtapos yang mga yan mga walang utak obob. Except Spine Specialist Dr. Edmund Chua of Phil Orthopedic Center. Doon mo sya madalas makikita sa ER or trauma ward kapag wala syang clinic. Sa husay nya, mayaman na dapat sya ngayon pero marami din syang charity patients.In other words, nag doktor sya para makatulong sa mahihirap. kahit anong work makaka relax ka lang kung walang gagawin pero pag ganyan na kailangan ang service mo kailangan gawin agad.Gus2 mo mag relax wag ka magtrabaho matulog kana lang sa bahay..leche! Fake news seems to be the trend and people nowadays seem to be suckers for fake news. Just look at the two separate photos, there is no conclcussive proof that both was taken at the same place at the same time. Could have been separate photos cleverly pieced together with an captivating story to create intrigue. You people have to be smarter than that. Highly possible. But this happens esp in some govt. hospitals I'm sad to say. a big slap in your profession...in emergency cases like this, try to do something to help... ladies, you are in big trouble...that's not being a NURSE....shame on you!!! Totoong ngyayari yan lalo na sa govt. Hospital nakaencounter na ako ganyan sa Manila ..inaatake na ng stroke un matanda,bumubula na un bibig kailangan at sa ER n dinaan iniinterview pa nun nurse sa palagay niya makakasagot un..saka example nio na lang may mga ospital na intern un pinagiinject sa bata minsan pag d napuruhan yung ugat hanggang 3 attempts ginagawa experiment ...haissst. I think this is an isolated case. I had work both in the Philippines and in the UK. And I must say Filipino nurses are both hard working and caring. We tried our very best to save lives even if it entails leaving our families and specially our children back home. I hope the public would not easily judge nursing job. We work our heads off just to pass the course and then after that we run like a headless chicken just to upheld the quality of healthcare the public expects. I just hope if this news is true then let them face the consequence of their actions. But let us not jump into conclusion. Who knows this could be a 2 different occasions just to whine up our inquisite and judgemental minds.